The fruit you eat, the clothes you wear, and the car you drive could all very well be manufactured by the hands of a child — even those from the United States. Today marks the 11th annual World Day Against Child Labor — a day to raise awareness about child labor throughout the world and put an end to the abuse of children in domestic work. Worldwide child labor figures are estimated to be 10.5 million according to the International Labor Organization (ILO). In the U.S. and around the world, hundreds of millions of children are put to work in hazardous environments that compromise their health and safety. 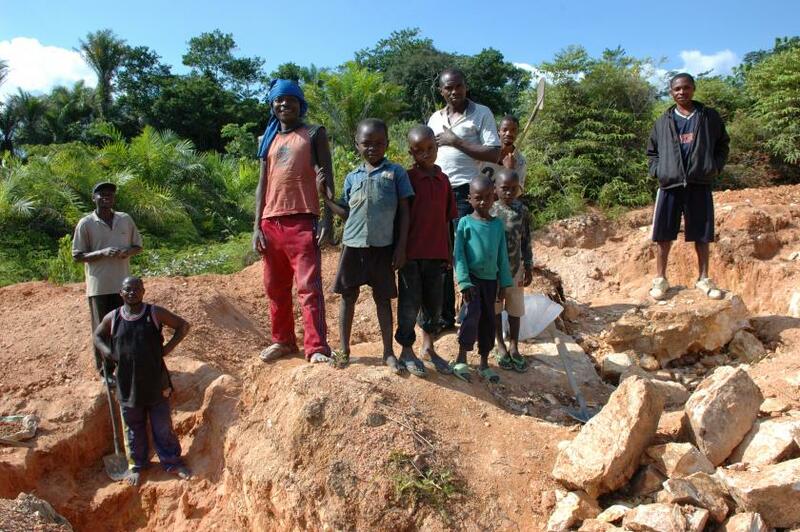 Working with heavy machinery and dangerous chemicals puts these boys and girls at risk for a high mortality rate. In a study published in the American Journal of Public Health (AJHA) researchers used cross-country data from a large group of developing countries to examine the health effects of child labor on children by linking the existing health indicators and the prevalence of child labor in those countries. The results showed that adolescent labor was significantly and positively related to high mortality rates in children, a population's nutrition level and to the presence of infectious disease. In the U.S., for example, there is no minimum age for children who work on a small farm with their parents' permission with unlimited hours outside of school reports the Association of Farmworker Opportunity Programs (AFOP). Boys and girls are exploited for long hours for low pay, often earning less than minimum wage: $4.25 per hour. These little workers face serious health threats, to the point where their deaths for 20 percent of all farm fatalities. The National Institute for Occupational Safety and Health (NIOSH) says an estimated 907 youth died on U.S. farms between 1995 and 2002 with an average of 130 youth deaths a year. Center for Disease Control and Prevention (CDC) statistics back this data up; they show that agriculture is a dangerous trade, accounting for the most deaths in workers aged 17 and under. While the U.S. spends over $25 million a year to eliminate child labor abroad, it tolerates exploitative child labor in its home, according to Zama Coursen-Neff, deputy director of the Children's Rights Division at Human Rights Watch and author of the 99-page report, "Fields of Peril: Child Labor in US Agriculture." Coursen-Neff interviewed 59 children under age 18 who had worked as farmworkers in 14 states throughout the U.S. and found 12-year olds typically work 10 or more hours a day, five to seven days a week. Others begin working part-time at age six or seven. The pay is not only less than minimum wage but probably even less than offiicial numbers show, because employers do not report the correct amount of hours, and often force their employees to spend their earnings on tools, gloves, and drinking water — things that should be provided by their employers by law says HRW. Require better data collection from the Department of Labor. The bill would exempt children who work on their parents' farms due to concerns about government interference in family life and the learning of agricultural skills. There is some good news: there are agencies working to solve the problem. For example, the High Plains Intermountain Center for Agricultural Health and Safety (HICAHS) — serving the states of Colorado, Montana, North Dakota, South Dakota, Wyoming and Utah — has worked to reduce injuries and fatalities among farmworkers by implementing safe equipment for farmers to use. Between the years of 1998 and 2008, child agricultural injuries has decreased by 59 percent as a result of private and public organizations overseeing farmer safety reports the United States Department of Agriculture (USDA). While the U.S. has its fair share of child labor problems to fix at home, many American manufacturers have taken their labor overseas, exploiting children to work under poor and unfit conditions. The Firestone Tire and Rubber Company has operated a rubber plantation in Harbel, Liberia for over 80 years says the International Labor Rights Forum (ILRF). Workers for the American company in Liberia must tap trees to extract the latex that is needed to make the rubber tires forcing the tappers to bring their children and wives to work. Two 70 pound buckets are carried by children for miles, and the children are alsoobligated to apply pesticides — a serious health hazard. The Environmental Protection Agency (EPA) of Liberia also claims that the American company dumps their toxic chemicals into local rivers that is used by the community to bathe and fish. According to a National Labor Committee report, an estimated 200 children who were 11 years old or younger were sewing clothes for American retailers such as Hanes at the Harvest Rich factory in Bangladesh. The workers — who earned as little as 6 ½ cents an hour — were forced to work 12 to 14 hours a day, seven days a week and were beaten if they fell behind their production goal. The American chocolate company has used child labor in its cocoa fields, a practice caught the attention of the founders of the Raise The Bar campaign. Due to the negative attention the company would get from an ad that the International Labor Rights Forum planned to air on the Super Bowl, the company decided to only use cocoa that had been certified by the Rainforest Alliance for the Bliss chocolates line. The sportswear company admitted that they messed up by using child labor in some of the world's least-developed countries, says The Guardian. While the company — at the time of the accusations — did impose strict conditions on the age of employees by companies abroad, there were instances when those conditions were ignored or overlooked. The tobacco company has admitted that at least 72 children (as young as ten years old) were working on the tobacco farms that the company bought from. Human Rights Watch released a report to show that child and forced labor is prevalent on farms that supply to Phillip Morris International in Kazakhstan says the New York Times. The American lingerie company was found to use cotton picked from farms that relied on child labor. According to Bloomberg News, approximately 25 million of the garments that were produced for Valentine's Day in 2009 were picked by underfed children who were beaten to meet their production goal.